A committee will make a ruling on recommendation by Calderdale Council officers to permit revised plans from a Brighouse hotel and restaurant. The planning committee at the Council will decide whether to grant permission for the Casa Hotel and Restaurant on Elland Road to demolish part of the existing bar and restaurant in the hope it will put an end to the planning wrangle. The venue was ordered by the Planning Inspectorate that it must take down its three storey extension after losing its planning appeal against Calderdale Council in September 2015. However, Castelite Limited, Casa’s parent company, appeared in the High Court to challenge the decision and was successful in getting the verdict reviewed in February 2016. In the new plans, the design and access statement, stated: “This new proposal is to reorganise the premises by demolishing some of the older and much altered parts of the buildings and to move those existing uses into the recently built extension. As part of this exchange there is an opportunity to redesign the internal spaces to accommodate those uses and also to change the external design and materials so as to have a less intrusive appearance. The developers are also proposing to used revised materials palette and how the building will appear in the surrounding landscape. Instead of being a stark white building set against trees, the building will have has tones of cream and brown. Planning officers at the Council said in their report that will go to the committee on May 23 that despite the plans being on green belt there are ‘special circumstances’. “The site is within the Green Belt and is inappropriate development and by definition is harmful. “There are differences between the scheme granted consent in 2009 and the proposed scheme in that it is larger and of a different design. However, the demolition and alteration works reduces the impact on openness and basically provides more volume at the western part of the site and reduces it at the eastern part of the site. “In this respect the overall impact on openness is now limited. “It is considered that there are very special circumstances in relation to the economic benefits of this scheme in relation to the provision and retention of jobs and the capacity for economic growth of the business, over and above the 2009 permission. Officers said concerns have been raised regarding the new terrace facility in close proximity to the nearby residential properties. “However, this is balanced against the existing lawful facilities which are provided with external areas at the east of the site and the economic benefits of the scheme,” it stated in the officer’s report. “Conditions are proposed which will assist in mitigating any potential noise and disturbance which may be generated. “It is considered that the current scheme does result in greater harm than the 2009 permission by reason of inappropriateness, loss of openness, impact on purposes of Green Belt, and noise. 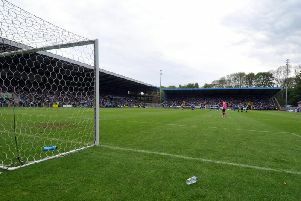 The planning committee meeting will take place at 2pm on May 23 at Halifax Town Hall.